Whether a business is expanding or just starting out, renting a commercial space is a huge step. Depending on the type of the business, the location and traffic of the area can really affect its success. Business owners should be sure the potential space has all the right features needed for making the day-to-day operations of the company run smoothly. Before signing their lease, they must also understand their lease agreement and be aware of what other expenses they may incur. Here are some tips business owners should consider when looking for a commercial property for lease. Before signing a commercial lease, it’s important for businesses to understand what fees they will incur in addition to monthly rent payments. Is the tenant responsible for lawn maintenance, trash collection, snow removal and repairs? Unlike with residential properties, these items are typically up to the commercial tenant. Business owners should ask their potential property owner what kinds of costs they will incur and also ask for examples of these costs. Those who are considering renting a shared space should ask how the maintenance, upkeep and utility fees are measured. Calculate all of these costs and make sure the property is something the business can afford. Does the building come with a security system? Does it have central air, an HVAC system, and pre-wiring for internet access? Make sure the building has all of the essential features the business will need. For buildings that are shared with other tenants, know whether any of the amenities are shared, such as the restrooms. Companies that depend on foot traffic like restaurants or retailers should be sure the building has enough parking spots to serve its customers. To be sure there is adequate parking, ask the landlord or real estate agent for traffic and parking counts. Business owners should plan ahead with their new commercial space. If the business has the potential to expand within the next couple of years, see if it can grow at the new location. Commercial tenants may want their space to be large enough should they need to hire more employees or expand their services. Business owners must decide if they want a short-term or long-term lease. Most small businesses or businesses that are just starting out will choose a one- to two-year lease with the option to renew. This allows them to negotiate special terms. Regardless of the lease term, know whether the rent will increase each year. Most importantly, business owners must be sure they have read and clearly understand the lease agreement before signing it. Are New Construction Townhomes Really Better? Right now New Jersey’s housing market is really heating up. And with the booming economy in New Jersey, more people are looking for the simple, valuable, luxury solution: a NJ townhome that will make a great home today and remain an in-demand property when you sell it. More space. The reality is that new construction townhomes in NJ tend to be more spacious than older townhomes. This simply reflects the changing demand from condo owners as well as the better deals that developers can get from construction companies after the economic slump. If you want more space, new is the way to go. Better design. Today’s townhome complexes have learned from yesterdays. That means better outdoor spaces, more open layouts, sunnier spaces, and more privacy from your neighbors both with better soundproofing and with more enclosed landscaping around your yard or garden. New construction townhomes just have smarter designs. Amenities that matter. Every condo complex is going to brag about its amenities, but how many will you use? Fitness centers need to offer a wide array of equipment to replace a gym membership, and condos with central clubhouses tends to develop a better community of neighbors. Don’t just look at amenities as a checklist of selling points, but as a guide to what your experience as a resident will be like. Quality materials. 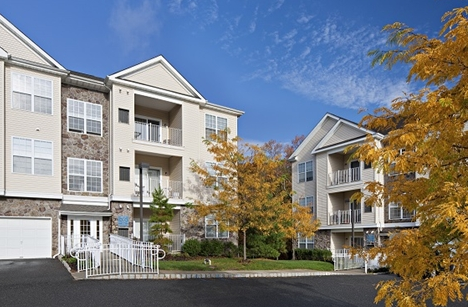 This is a huge change in new construction townhomes in NJ. The demand for quality construction is up—way up. Previously it was assumed that drywall and beige carpeting would work everywhere. But today more developers know that people value style, durability and design that won’t seem outdated in 5 years. Availability. It may be obvious, but this is a selling point worth mentioning. The reality is that new construction townhomes in NJ offer much more availability in terms of price, location and options than trying to find that rare older condo that really fits your dream. New is just more accessible. Of course, everybody has their own preferences for what they look for in a townhome. What are you looking for? 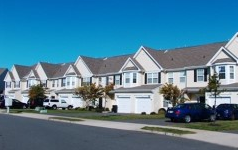 Do new construction townhomes in NJ or older townhomes call to you more? Location. It may seem cliché but location truly is everything. When you start looking at condos you’re considering a long term investment. It has to not only look good but also have lasting value. New condos in NJ are spread all over the place, from key locations that will continue to be desirable to throwaway developments. Look at what works for you in terms of career, culture and family and you’ll find the locations with lasting value. Privacy. One thing that many new condos in NJ are starting to concentrate on is privacy. True, a condo is a community and whether it is apartment-style or townhomes, the units will share walls. But for many years, condo developers made no effort to use intelligent layout, quality building materials, or landscaping features to provide noise reduction and privacy. Newer developments are starting to see the light and it makes all the difference. Luxury. Now we’re talking. A condo is not only a place to hang your hat; it should be a step above other housing in the area. That’s because you are making an investment, and luxury units keep their value and appreciate faster than regular condos—by a long shot. If you’re considering new condos in NJ then focus on those with the quality building materials and complete landscaping and interior features to make your purchase worthwhile. Amenities. In new condos in NJ, amenities consist of a lot more than just a fitness center—although that’s a good start. Many condo developments today will offer a club space where you can gather with friends and guests. Pools and saunas remain popular, and more new condos in NJ are also offering outside fitness options such as a landscaped walking/running trail as well. Sheltered parking, office facilities and other perks also put a condo a step above the rest. Security. This is where you can’t compromise. Not all new condos in NJ need to be gated, but they do need to offer robust security solutions. That includes, at a minimum, complete round the clock camera surveillance. What are you looking for in new condos in NJ? “Furnished” with your old dorm furniture. Didn’t you leave this stuff behind some time in the early 2000’s? A lot of building managers try to get in on the corporate housing market by throwing together a few furnished rooms in the cheap. We’re sorry, but a Wal-Mart rug and a few garage sale couches are not the makings of luxury townhomes in NJ. Of course, if you like mismatched plates and one non-nonstick frying pan for all your cooking needs, maybe this is the pad you’ve been looking for. Otherwise, keep searching. Luxury as a marketing buzzword. Sometimes actually creating a luxury townhome in NJ is too much work or too much expense. I mean, think of the poor overworked building manager. Wouldn’t it be easier just to say it’s “luxury” and hope you find someone who doesn’t ask too many questions? Unfortunately that’s what all too many townhome managers do. Here’s what we recommend: look at some regular apartments in addition to luxury townhomes. If you find a “luxury” unit that’s indistinguishable from a regular apartment except for the price tag, keep walking. Amenities that are tacked on. Have you ever been told that a complex has a gym, only to find out that it’s two exercise bikes and a weight set in a closet somewhere? We don’t like that either. Amenities are supposed to be there to make your life easier, more comfortable or more convenient—not just to check a box on an online listing somewhere. Whether it’s the gym, a pool, building-wide Wi-Fi or any other luxury, make sure that it works and that it lives up 100% to your expectations. Bubba’s Security. 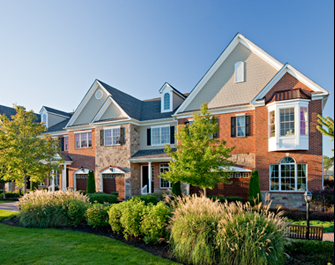 One thing that marks out the best luxury townhomes in NJ is robust security systems. But to some building managers security seems to be an afterthought. If a buzzer from the front lobby is the only thing keeping unwanted guests out, then that’s not luxury. Look for a 24/7 premises-wide camera system at a minimum. Some luxury townhomes in NJ even have security guards on patrol around the clock. What do you look for in luxury townhomes in NJ?